Bathroom Renovation is always an exhilarating task. Being the smallest room in the house renovating it can also turn out to be complex and tricky, with various components if not done in the correct order. Otherwise it can be an overwhelming task. Usually homeowners assume that bathrooms being the smallest room, renovation can be completed in few days’ time. But this is not essentially the case. Bathroom, be it a larger one or a small, it goes through same steps of renovation. Nevertheless, duration is not the only aspect to good renovation. A good or appropriate renovation includes discussion to planning and also to be ascertain of purchasing, ordering and delivery bathroom items like tiles, fittings, bathroom fixtures, etc. on time. Planning time play an essential role for homeowners with only one bathroom in their house since they will need to make arrangements for the same while bathroom renovation is going on. 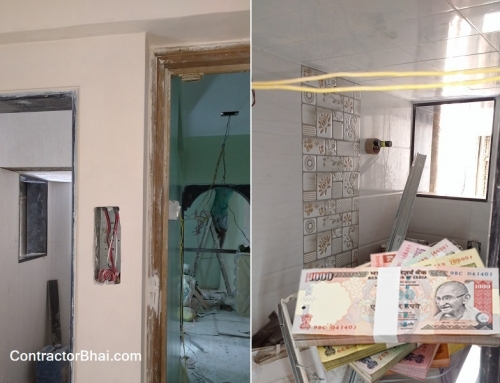 One thing that I would like to share here is that many professionals promise to complete bathroom renovation work in 7 days which is not possible. 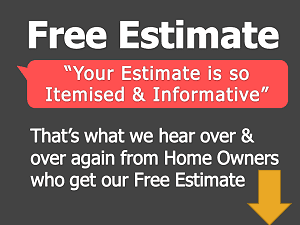 • Does existing doors, windows, bathroom fittings needs to be changed. • Does the entire room (i.e. bathroom) needs restructuring or just few alterations. • Most importantly- Budget. The professional needs to know how much is the homeowner ready to spend on tiles, bathroom fittings, etc. 1) To start with, firstly breaking work takes 3 days. Breaking includes breaking bathroom flooring, wall tiles and accessories if needed. 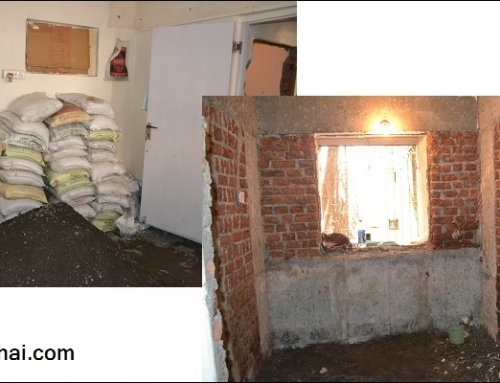 2)Once breaking work is complete, wall and floor plastering work starts. Plastering work is completed in 1 days’ time. Plastering is not only done to walls and flooring but to ceiling too. 3) Next 2 days Plumbing work takes place. 4) Once the plumbing work is over, Waterproofing is done. 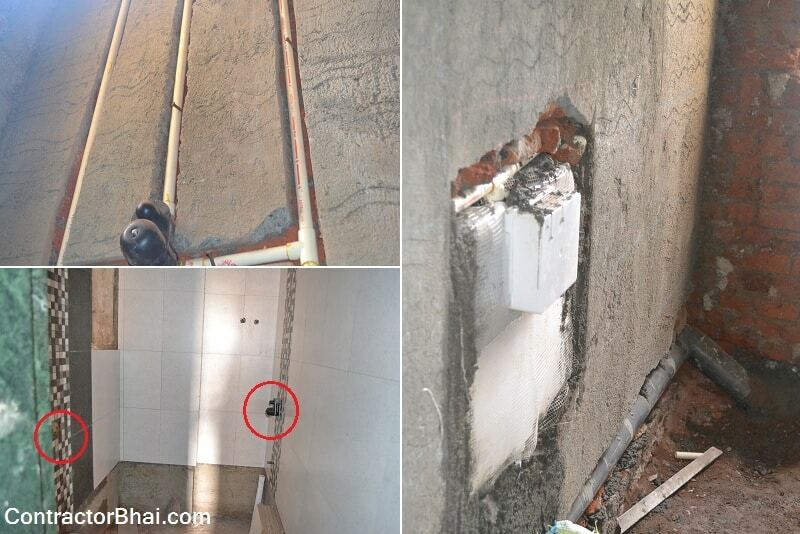 Waterproofing is very much essential in bathrooms to avoid any future water seepage issues. Waterproofing takes 1-2 days. 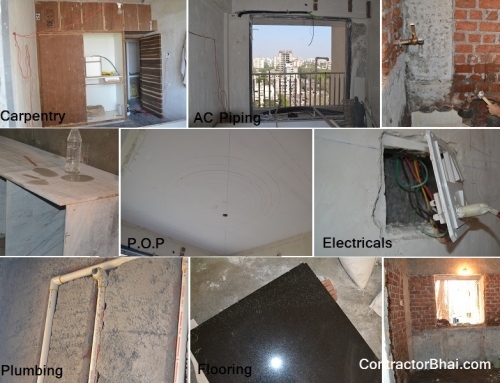 5)And only after waterproofing process is over, wall tiles and floor tiles and fitted. 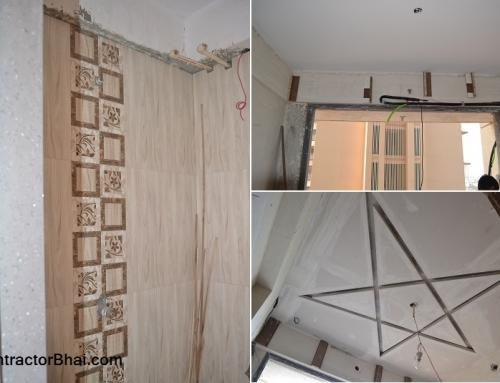 Fitting tiles take almost 4 days’ time. 6) After tiling work, granite framing takes 1 day. Granite framing is done for doors and windows. 7)Then Aluminum Louvers are fitted in windows. Louvers are window blind or shutter with horizontal slats that are angles to allow light and clean air but to keep out rain and direct sunlight and noise too. The angles of the slats can be adjustable, generally in blinds and windows or fixed.Fitting these Louvers takes an entire day. 8) An electrician is given a days’ time to do all necessary light fittings and wiring changes if any. 9) Lastly cleaning up the mess created takes place that usually is done in a day or half. A professional will always say 1-2 days extra for total work completion for incase worker has not arrived or material delay, etc. But this is for a standard bathroom design. For more luxurious and stylish bathrooms i.e. 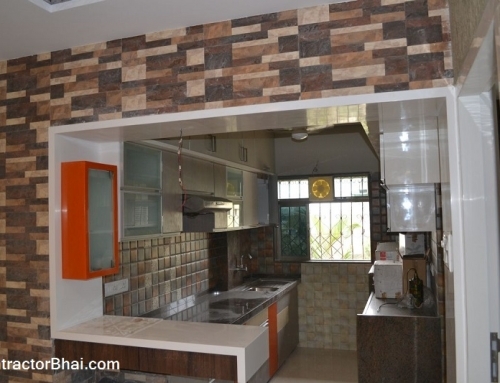 with fancy false ceiling, indirect lights, fancy furniture, etc. it may take an additional 5 to 10 days’ time.